Next weekend is the Fall Crochet Show!!! 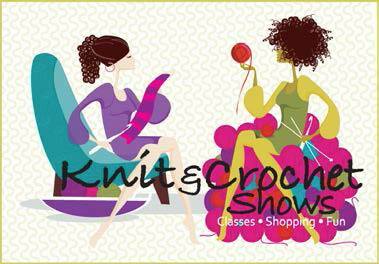 The Fall CGOA (Crochet Guild of America)/Knit and Crochet Show is being held October 2-6, 2013. The conference location in Concord, North Carolina is convenient to our Maggie’s Crochet studio with a short 1-1/4 hour drive south. We are opening our studio for crochet enthusiasts to visit before or during the show from October 1-3. Enjoy some organic coffee or tea, snacks, beautiful pottery and see my collection of of over 300 vintage crochet potholders before heading to the show in Concord, NC. I will be attending the CGOA/Knit and Crochet Show from Friday October 4 through Sunday October 6, and attending the Friday night dinner and fashion show. In addition to being surrounded by crochet enthusiasts and designers, I am looking forward to the indoor pool, hot tub, breakfast cooked to order and free happy hour that the Embassy Suites offers. If you have never been to a crochet show – you simply MUST! It is so much fun!!! My favorite is the dinner and fashion show. The food is amazing and the crochet fashion show runway is spectacular!!! Last year the show was in Greensboro, NC and I was able to teach a lace pottery class. It was my first crochet show ever! I will take lots of pictures and Eddie will be there shooting some videos. The offices of Maggie’s Crochet are in a house that has commercial zoning! 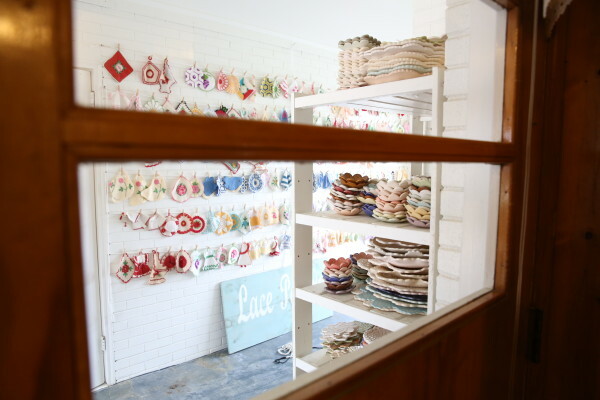 View from our kitchen looking into the breezeway of Maggie’s Crochet. 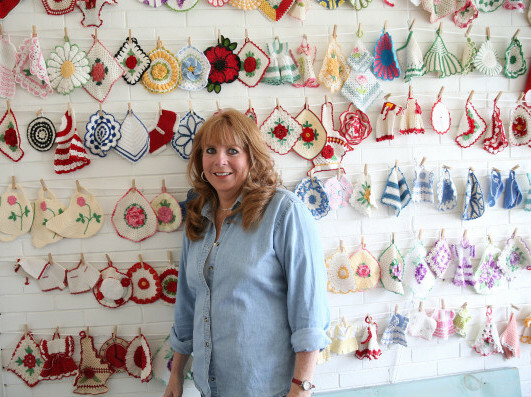 Here I am standing in front of my vintage crochet potholder collection. 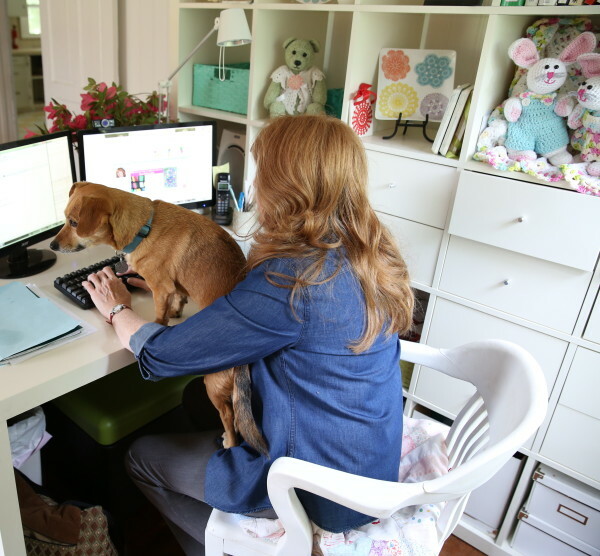 Annabelle is a very important part of operations here. She is on high alert for visitors! The CGOA/Knit and Crochet Show features a variety of educational opportunities, special events and shopping all in one location. Educational Classes taught by expert needle arts faculty. Learn new skills and techniques from experienced teachers. Fashion Show to see the latest designs and outfits utilizing these needle arts. Special Events that make the show a fun and memorable time. Shopping at a large variety of vendors from across the country. The marketplace gives an opportunity to shop for patterns, tools, accessories, yarn and fiber. See new items and demonstrations to learn the benefits and use of accessories and tools you may not be familiar with. 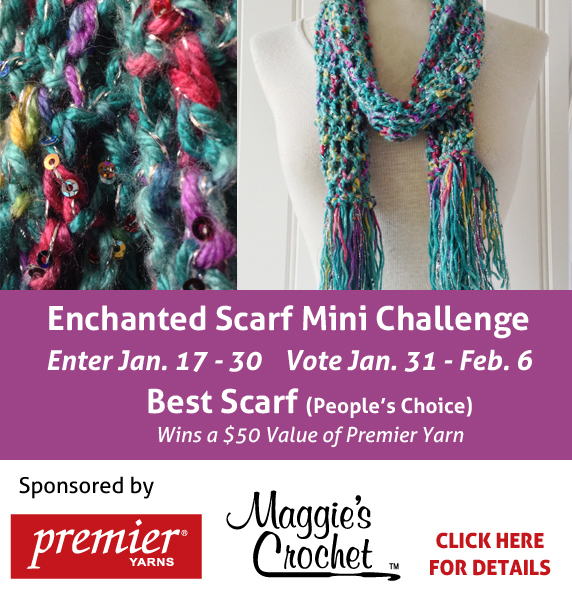 Get more details on the CGOA/Knit and Crochet Show at http://www.knitandcrochetshow.com/. 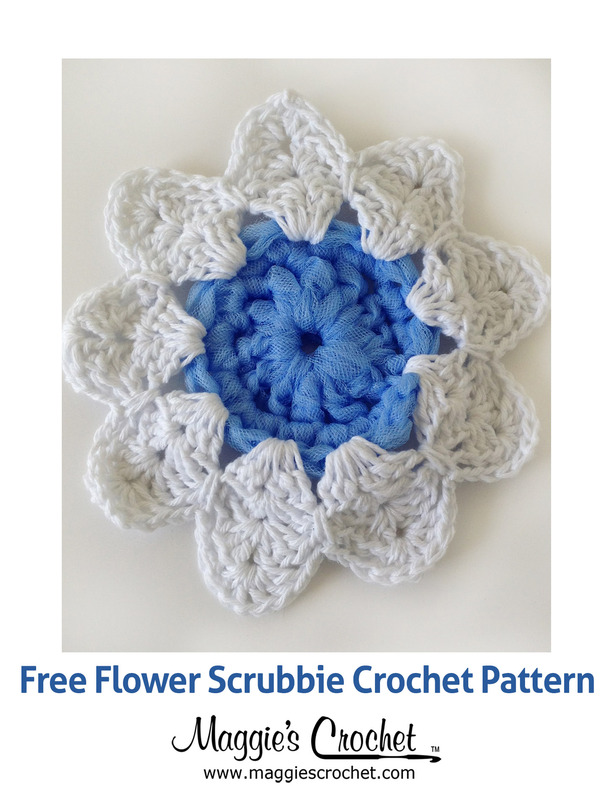 Directions to Maggie’s Crochet Shop are available at http://maggiescrochet.com/pages/contact. I hope to see you here or there.